Fill up the lower part of the coffee maker with natural mineral water, staying below the safety valve. 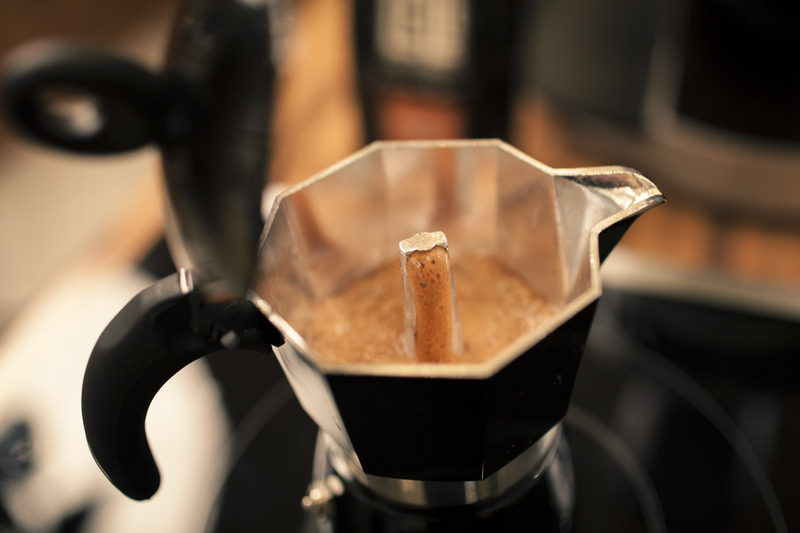 With a teaspoon arrange the medium-roughly ground coffee level into the filter, without pressing it. When closed, put the coffee maker on low heat with the cover slightly open, as to prevent the vapour to stagnate on the drink. As soon as the coffee comes out, turn off the heat. Before serving, stir the coffee with a teaspoon. High pressure and warmth are the fundamental parameters that bring the drink to be thick and intense. Fine scents are dropped at the expense of a toasted aroma, almost burned, making the taste being enhanced.